I am at present in the middle of break in my Internet Marketing, the first in some 15 years and plan to return later in the year. I have been keeping a watching brief on the development of MarketHive which has been under way for more than two years. I am impressed with the progress and the attention to detail in the design which makes it easy to use and understand. Tom Prendergast and his small team are creating a system which will become the envy of the world. Many are asking when the system will be launched, well it is available now but there are still parts of the system which need refining due to the ever changing nature of marketing on the Internet. One area I am happy with is the intuitive way the system has been designed and seamlessly integrates together to the benefit of users. This became apparent to me when I attended a couple of workshops last week about adding a third party plug-in to WordPress in order to post to social media sites. A number of users had difficulty understanding, the instructions for setting up the plug in due to the poor non user friendly design. Needless to say the essential workshop provided by Tom worked through most of the problem area. One thing I have learnt is that if you stop using the Internet, when you return, its not the same, companies make so called improvement, one of my hosting companies changed it C-panel set up and I keep getting stymied when trying to update information, and they this progress. Publicity is crucial when running a business, whether your business is located offline or on the Internet. 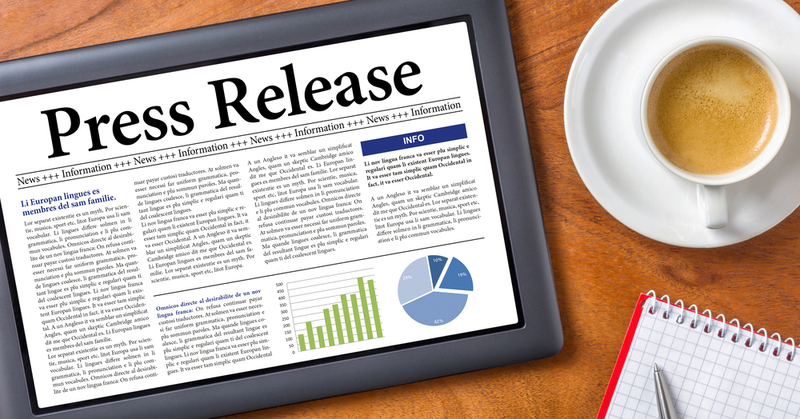 When a business has little or even no budget to promote, "Press Releases" are the most advantageous method to promote your business. Here it is the ultimate, complete, final social media sizing cheat sheet. As before, you can find a simple text list of the pixel dimensions at the bottom. Save this sucker on your hard drive and never Google ‘Facebook cover photo size’ again. FREE Lead system! Get Leads For LIFE! Education frequently takes place under the guidance of educators, but the trend of learners educating themselves is on a continuous upward movement. The reasons may include freedom to choose, no fear of questions being asked, learning at one's own pace and place, absorbing at one's own capacity and much more. The self-learning trend has been empowered by cutting edge educational technology innovation. Educational technology has started facilitating learning from the time of Abacus to the current generation e-learning / m-learning. It has gone through multiple changes while adjusting itself to the current generation's demand. Helping people learn in ways that are easier, faster, surer, or less expensive can be traced back to the emergence of very early tools, such as abacus. The human race has been continuously challenged to educate its next generation in a more effective manner for equipping them to face future challenges. This pursuit of constant upgradations for better learning received a big push with the introduction of computers. In the very early days of computers in education, the University of Illinois initiated a classroom system based in linked computer terminals where students could access informational resources on a particular course while listening to the lectures that were recorded via some form of remotely linked device like a television or audio device, in the year 1960. There was no looking back since then. All kind of experiments started in world renowned universities like Stanford and Harvard for computer assisted teaching. In the mean time in 1971, an influential Austrian philosopher named Ivan Illich published a hugely influential book called, ' Deschooling Society ', in which he envisioned "learning webs" as a model for people to network the learning they needed. Ivan envisioned the power of networked learning way ahead of his time but everyone realizes the power of social / network learning, now. The invention of World Wide Web in 1990 was the next big thing after computers. After this invention, learning changed radically. Anyone could create text based websites / portals with loads of information / learning material which anyone from any part of the world could read, digest and use. This democratizes the access to any information / learning and its usage. Improved Internet functionality enabled new schemes of communication with multimedia or webcams. Multimedia powered by the internet is slowly proliferating every aspect of learning and quietly disrupting this space. Multimedia content is more fun, more engaging and better to assimilate that text-based content. The other most important aspect is the method of learning which is asynchronous in nature. Asynchronous learning uses technologies such as email, blogs, wikis, and discussion boards, as well as web-supported textbooks, audio-video courses, and social networking using web 2.0 (Web 2.0 describes websites that emphasize user-generated content, usability, and interoperability). Everyone can now realize the impact of all of the above-mentioned technologies in their learning process. The impact of the mass / social media is the result of a long adaptation process of their communicative resources to the evolutionary changes of each historical moment. Thus, the new media became an extension of the traditional media on the cyberspace, allowing to the public access information in a wide range of digital devices. In other words, it is a cultural virtualization of human reality as a result of the migration from physical to virtual space (mediated by the ICTs), ruled by codes, signs, and particular social relationships, inside and outside the classroom. Forwards, arise instant ways of synchronous and asynchronous communication, interaction and possible quick access to information, in which we are no longer mere senders, but also producers, reproducers, co-workers, and providers. New technologies also help to “connect” people from different cultures outside the virtual space, which was unthinkable fifty years ago. In this giant relationships web, we mutually absorb each other’s beliefs, customs, education, values, laws and habits, cultural legacies perpetuated by a physical-virtual dynamics in constant metamorphosis. The impact of social media on everyone's learning is undeniable. The National School Boards Association found that 96% of students with online access have used social networking technologies, and more than 50% talk online about schoolwork. Social networking encourages collaboration and engagement and can be a motivational tool for self-efficacy amongst students. Every student has his or her own learning requirements, and a Web 2.0 educational framework can provide enough resources, learning styles, communication tools, and flexibility to accommodate this diversity. A highly interesting possibility emerges out from all of the above. A combination of Ivan's vision of "learning webs" as a model for people to network the learning they needed, with the need of a Web 2.0 educational framework based on social network and real-time multimedia technologies. Can this combination be a disruptive learning model for the future? Only Time can answer this question. For a majority of my life, I ate grain-based foods at almost every meal. Breakfast usually included toast, cereal, pastries or a burrito. Then, lunch came around and I’d have whatever food the school cafeteria was serving; a sandwich, burger, pizza or pasta dish. At home for dinner, my mom would make very traditional Mexican meals; which almost always included tortillas or bread. Let’s not take into account the snacks I’d eat; any Little Debbie™ product I could get my hands on. This was normal to me; as it still is now for many American adults and children. 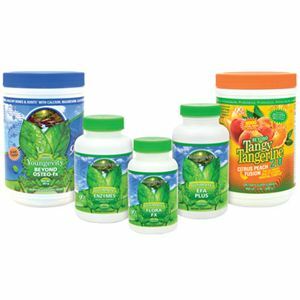 What isn’t normal, however, is obesity, autoimmune diseases, skin problems, joint and muscle aches, digestive problems and several other diseases triggered as a result of the anti-nutrients delivered from grain-based products. An anti-nutrient is a substance, present in grains and legumes, that compromise one’s health. While a nutrient, on the other hand, is a substance that nourishes growth and the maintenance of life. There are four major anti-nutrients found in grains: Lectins, Gluten, Phytates and Saponins. Although Lectins, Phytates and Saponins provide some nutritional benefits when present in moderation, excessive amounts of these in the blood stream are damaging. Certain forms of Lectin suppress immune function, interfere with normal protective gut barriers and promote systematic inflammation. When Phytates are consumed in excess, they bind to essential minerals in the digestive tract, making them difficult to absorb; leading to nutrient deficiencies and other health problems. Saponins, found in legumes, while deemed less harmful, are still capable of infiltrating cell membranes; compromising function, especially towards the immune system. Gluten is a term we are all very familiar with. It’s the most common anti-nutrient; which is believed to affect millions around the globe. Although some individuals still do not believe they are gluten intolerant, some side effects of gluten consumption include bloating, constipation, gas, acid reflux, IBS (and other bowl problems), allergies, migraines, and skin & joint conditions. If you constantly have to consume antacids, Pepto-Bismol™ or allergy medications, there’s a pretty good chance your food choices are harming your health. Remember, the food you consume is either nourishing your body or harming it. Prevention is the key! Alright, which one are you going to choose success or failure? No doubt you desire to generate consistent, predictable and long-term residual income from your home business opportunity or any business you joined, but the biggest obstacle to achieving success has ironically been yourself. Okay, get the hell out of your own way, but how do you that? Well, let’s start at the beginning to make things simple because the simple plans are usually the ones that work the best for all people. Firstly, do you honestly believe you can succeed online? If not then, let’s begin with the old grey matter and work our way down. Yes, success begins six inches between the ears. Jeffrey Combs, President of Golden mastermind Semianrs.com once said, “mediocre people live in their comfort zone, but their comfort zone is their failure zone”. So, are you afraid to step outside the norm and remain with the millions of people who do the J.O.B for life and die dead broke? How about living a life, which is cautious, redundant and non-stimulating, which is an example of non-growth and more importantly, an example of failure. Is that you and if so, why are satisfied with that kind of life. Success requires growth and the ability to break through barriers and not remain stagnant, which is another form of failure. Hence, to succeed one’s mindset must grow beyond what it believes are its limits. The search engine Google is an example of an entity that is always growing and adjusts so as to not become stagnant; otherwise, it will become irrelevant. Last I checked nobody wants to be known as being irrelevant; otherwise, you acknowledge you serve no useful purpose to others or to yourself. Are you ready to go beyond your limit and seek the title of not 1st Place, 2nd Place nor 3rd Place, but most improved? Unfortunately, most will choose the life of mediocrity because it's safe and familiar; however, today's digital world with constantly changing technology will severely punish those who fall behind or refuse to adapt. Well, the economy will actually meet out the discipline and reward those who bring value to the market. The question remains is your mindset capable of adjusting to the challenges within a global economy that sees people as expendable and corporations as essential to societal, political and economic growth. If yes, then, I invite you attend our next live workshop and learn how you can achieve online success with our global online community. 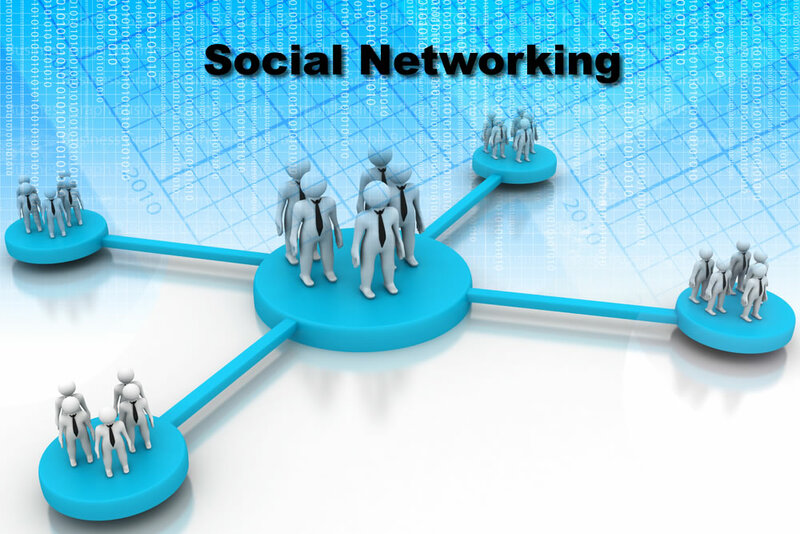 Do you know what the main purpose of a social networking website is? If you are an avid internet user, you likely do. Social networking websites are online communities that make it easier for internet users to meet and communicate with each other. If you are an internet user who enjoys using the internet to meet new people, there is a good chance that you already belong to a social networking website. What about an online blog? Do you have one of them? If you do, do you know that you could use your social networking website to promote your blog? Promote your blog? Why would you want to do that? Honestly, if you have to ask yourself that question you probably shouldn’t even have one. The whole purpose of a blog is to document your thoughts, views, and opinions on a particular topic, issue, or subject. What good will your blog do if no one reads it. In addition to sharing your thoughts with the rest of the world, did you know that you could also make money from your blog? You can sign up for affiliate programs or other programs like Google AdSense. If you are using your blog to make money then you will definitely want to promote it. When it comes to promoting blogs, there are many blog owners who decide to let the search engine do the work for them. Search engines, such as Google Chrome, Yahoo, and Bing use special techniques that reads the content on your website. That content is then used to rank your website with particular keywords. This means that you run a blog on graduating from high school in New York, there is a good chance that your blog will appear in searches done on New York high schools. Although many blogs are successfully ranked in search engines, not all are. That is why you are advised against relying solely on search engines, when it comes to promoting your blog. As previously mentioned, if you love meeting with or talking to people online, there is a good chance that you belong to a social networking website or community. The individuals that you talk to and that are in your community are likely the individuals that you wish to target. Since most social networking websites work to connect internet users who have the same goals and common interests, there is a good chance that your online friends will enjoy reading your blog. But, before they can read your blog, you have to let them know that it exists. When it comes to promoting your blog on social networking websites, you have a number of different options. Your first option is to include a link to your blog in your community profile or profile page. This will allow other community members to checkout your blog, only if they wish to do so. The other way is to inform your online friends of your blog through private messages. Once you join a social networking website and create or join a network of friends, you should easily be able to communicate with those friends. Sending each of your friends a private message with information and a link to your blog tends to be more effective than just placing a link in your profile or on your profile page. Although there is a good chance that you are already a member of a popular social networking website, you may not be. If you are not already a member, but would like to become one, you will need to find a social networking website to join. This can easily be done with a standard internet search. In your search, you will likely find a number of popular networking sites, such as, Facebook, LinkedIn, Pinterest and Twitter. Before becoming a community member at one of these networking sites, you may want to first examine the website to ensure that it is everything that you want it to be. As you can easily see, there are a number of different ways that you can go about promoting your blog on online social networking websites. You never known, but, in addition to promoting your blog, you may also make new friends along the way. Rick Wiles interviews retired firefighter Mark Taylor who was given this prophetic revelation in 2011. The Lord has chosen Mr. Trump to bring America back from the brink of destruction. Mr. Taylor wrote this amazing prophecy in 2011 giving us a glimpse of what's to come and why all who attack Mr. Trump will fall by the wayside. What's amazing is that this revelation has gone forth to thousands. The wrath of God has come not for the people of America but for the leaders of the establishment. ("I have the same revelation and have said so for over three months maybe longer. Judgment has come fot the wickedness in our leadership and Donald Trump is leading the way." Thomas Prendergast CEO Markethive) The hour of judgment is upon them. The light has begun to shine and the darkness of evil will prevail no more.